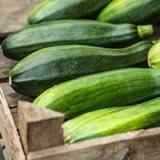 Veggetti Power | Instantly Turn Veggies into Delicious Healthy Spaghetti! 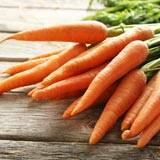 Instantly Turn Veggies into Delicious Healthy Spaghetti – with the Touch of a Button! Order Now! 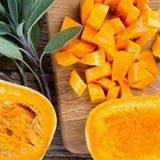 Makes Prep Work with Fruits and Vegetables Quick & Easy! Large Capacity Holds 64 oz. Stainless steel blade and powerful rotary motor power through all your vegetables in a flash. It’s that simple, just place and press! 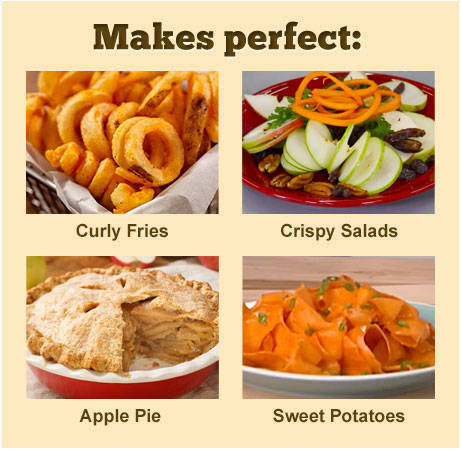 Just place the vegetable in the cone, press the button and push it through! 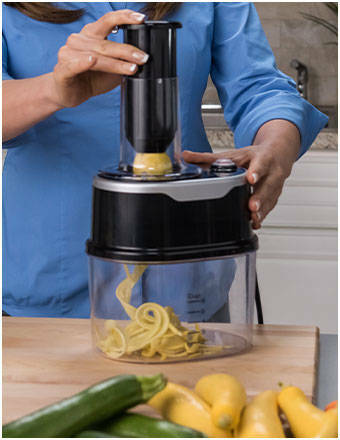 Create mountains of healthy vegetable pasta in seconds with just the press of a button! 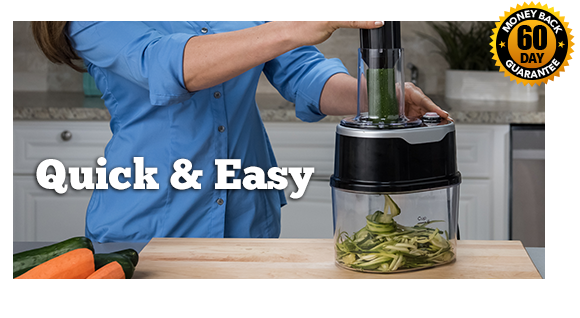 The secret is the stainless steel blade and powerful rotary motor that powers through all your vegetables in a flash. Veggetti™ Power comes with 3 different cones. 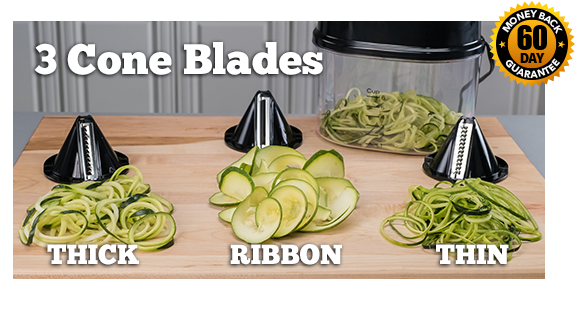 Choose thick, thin or ribbon cut pasta… for perfect vegetable noodles everytime! Also, you'll get a 4th bonus slicing blade! 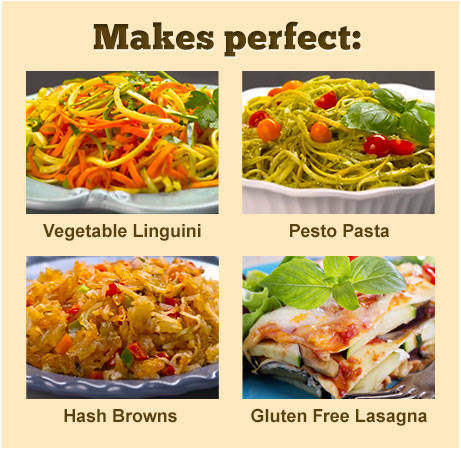 Add your favorite sauce, garlic and olive oil, Veggetti™ Alfredo, Asian noodles or pasta primavera. Power through all your favorite fruits and vegetables in seconds for a guilt-free, healthy, gourmet feast with Veggetti™ Power. 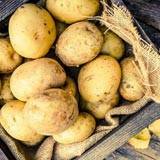 And Best of All – it’s Gluten Free! How many Veggetti™ Power offers would you like? 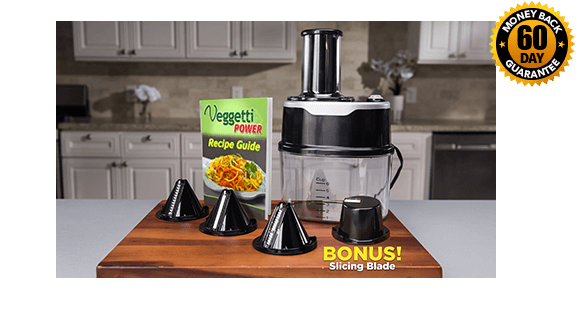 Today you’ll get 1 Veggetti™ Power with 3 Cone Blades and Recipe Guide for just $39.99 plus $14.99 shipping and handling. PLUS, we'll include a Bonus 4th slicing blade, Absolutely Free! 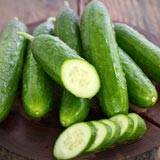 For customer service, please call 844-660-6122 or email veggettipowercs@worldpackusa.com. To check the status of your order, please click here. ©2018 Veggetti Power All Rights Reserved.